Akashic Books continues its award-winning series of original noir anthologies, launched in 2004 with Brooklyn Noir. Each audiobook comprises all new stories, each one set in a distinct neighborhood or location within the respective city. Following the success of Montreal Noir and Toronto Noir, the Noir series travels to the West Coast of Canada. Brand-new stories by: Linda L. Richards, Timothy Taylor, Sheena Kamal, Robin Spano, Carleigh Baker, Sam Wiebe, Dietrich Kalteis, Nathan Ripley, Yasuko Thanh, Kristi Charish, Don English, Nick Mamatas, S.G. Wong, and R.M. Greenaway. You might wonder what shadows could exist in Vancouver, rain-spattered jewel of the Pacific Northwest. Nestled between the US border and the Coast Mountains, the city's postcard charms are familiar, even to those who’ve never been here, thanks to the films and TV shows shot in Hollywood North: The X-Files and Deadpool, Rumble in the Bronx and Jason Takes Manhattan. Vancouver is the so-called City of Glass. A nice place, in any case, and much too nice for noir. Looked at from afar, Vancouver may seem idyllic. But living here is different - cold and baffling and occasionally hostile. While outsiders focus on high-test BC bud, locals see a heroin crisis: Vancouver is home to the first legalized safe-injection site in North America, now heavily taxed by overdoses resulting from street drugs cut with fentanyl. It's ground zero for the National Inquiry into Missing and Murdered Indigenous Women and Girls, a nationwide catastrophe involving the deaths and disappearances of hundreds of marginalized women. Money and status trample culture and community.... If Vancouver is a City of Glass, that glass is underneath our feet. ©2018 Akashic Books (P)2018 Audible, Inc. 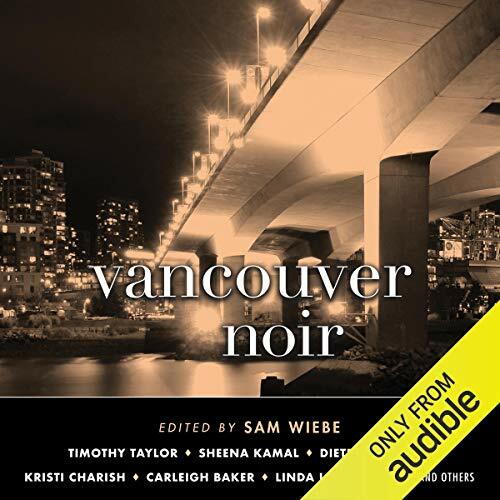 Becoming acquainted with a city beyond its touristed paths is the key allure of Akashic Noir and Vancouver Noir delivers. The city's topography comes to life; circumstances may be heightened or exaggerated, but the dilemmas of the characters are utterly believable. I feel like I know Vancouver intimately: its businessmen, and homeless, its prostitutes, and ghosts. Those of us who live in beautiful tourist towns know that where there's money there's grifters and where there's grift, there's always a good story.